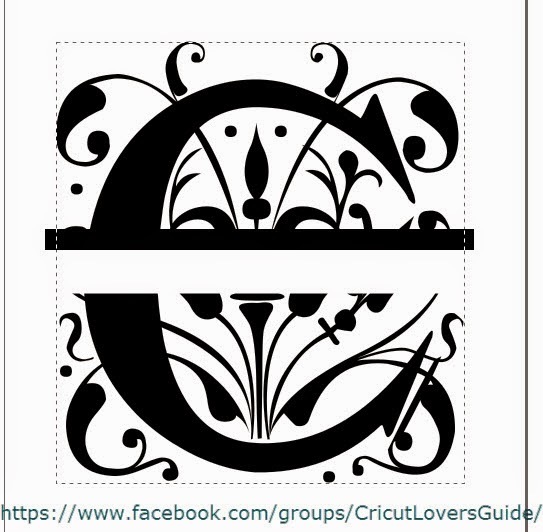 Many of you have tried creating a split letter monogram in Design Space. It can be done, but when using the Regal font things can get messy. It's much easier to create your font outside of Design Space and import it as a SVG file. 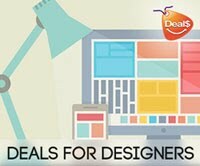 Here I'll show you how to do that using the free program Inkscape. 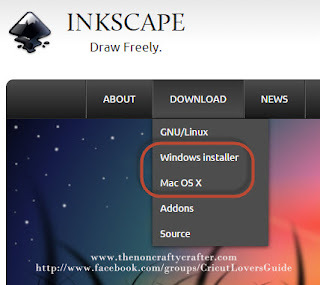 You can download Inkscape from www.inkscape.org. 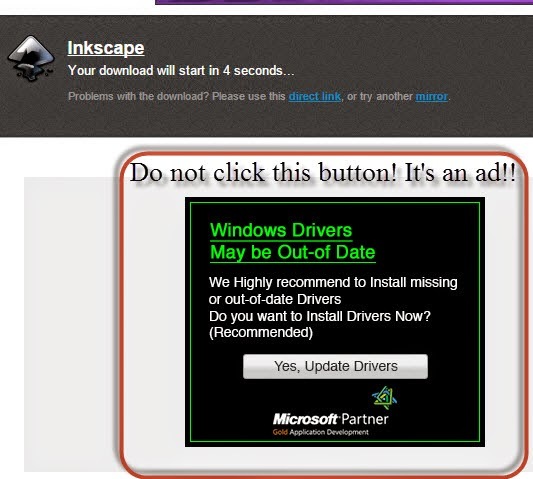 Make sure you only click on the download button for Inkscape. There are no other programs you need to download/install! Click on the link for your operating system. 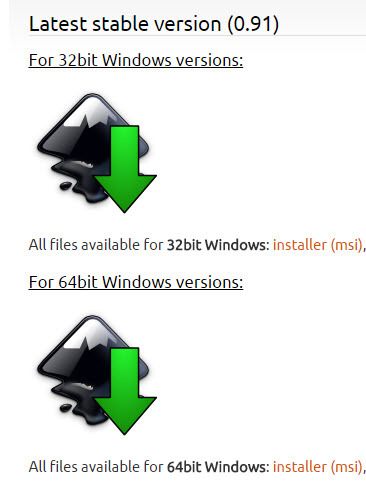 It will most likely be the second (Windows) or third (Mac) icon. You will see the "Your download will start shortly" message. Don't click on the box underneath that. It's just an ad for a program you don't need! Just wait for the download to start. Save the download file to your computer. When it's finished downloading click on it to start the installation. 3. 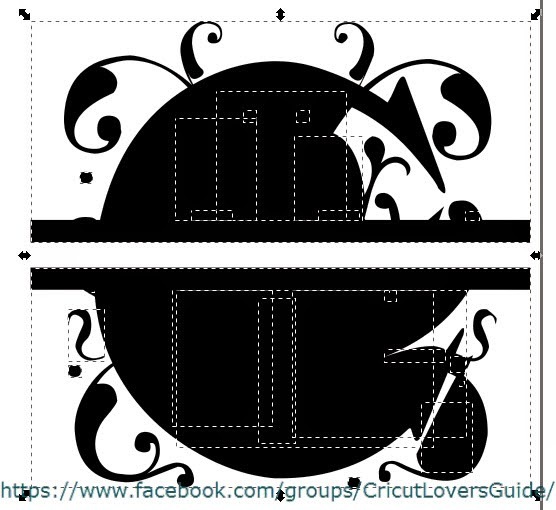 Click inside the design area box. Don't drag a box for your text... just click! 4. 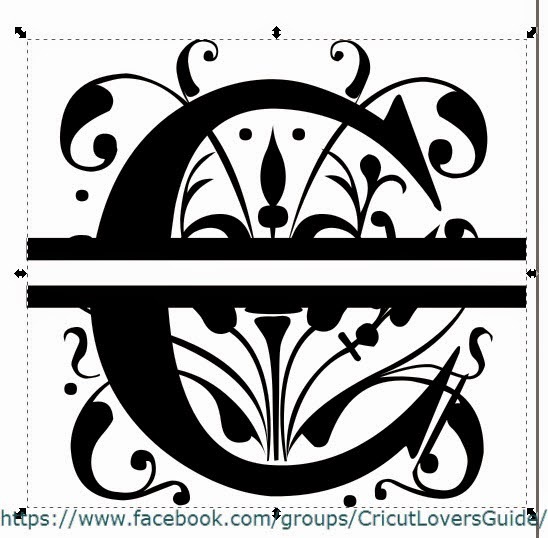 Type your letter. 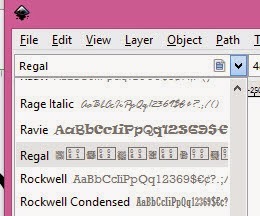 (Remember... if you are going to be using Regal Font you must use upper case.) The letter will appear in whatever font is currently selected. Tip: Press the + key on your keypad to zoom your view! 5. Click on the Select arrow in the top left of the screen and your letter should be selected. You'll see 8 outwards facing arrows around it. If that doesn't happen drag your mouse around your letter. 6. 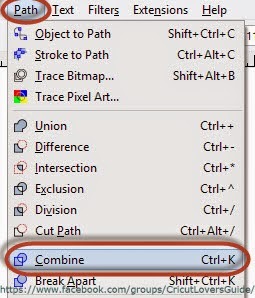 Hold down your Ctrl key then drag any of the arrows that are around your letter and resize it so it's easier to see. 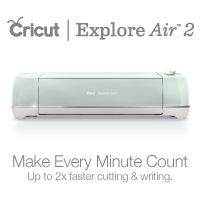 Provided you hold down the Ctrl key your letter will hold its proportions. No need to worry about exact size yet. 7. 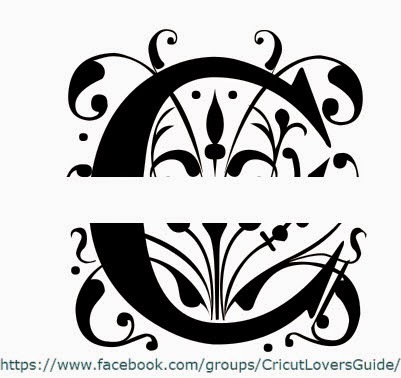 Double click your letter so that the cursor appears. 8. Hold down your Shift key then use the left or right arrow key to highlight the letter. 9. Click on the down arrow next to the fonts drop down box in the top left of the screen. 10. Scroll through the list to find your font and select it. Your letter should now appear in the correct font. Next you'll resize your letter. I generally set the height of my letters to 8". 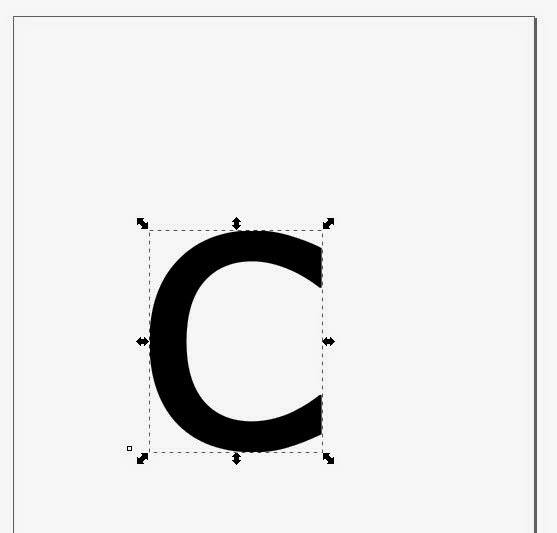 You'll still get to change the size of your finished letter when you get it into Design Space. 11. Click on the Select arrow (top left) again and click your letter so you see the arrows. 14. Type 7.00 in the height box and press Enter and the width will change accordingly. 15. 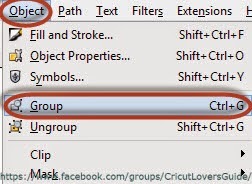 With your letter selected click on the Path menu and select Object to Path. Now we'll split the letter. 18. 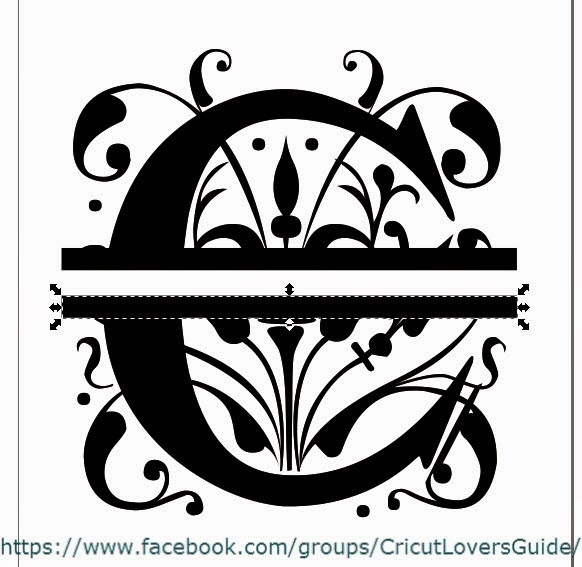 Click to the left of your letter and drag your mouse to create a rectangle across the letter. The length of this rectangle isn't important. Just make sure it is wider than the letter. 21. Click on the Select arrow and move the rectangle up or down to place it where you want the split to occur. Some letters will look best split right through the middle. Some others (e.g. 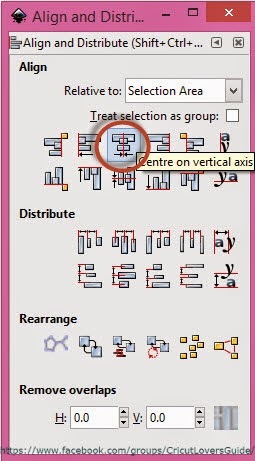 those that have a cross bar like the A and H) look better if you split it above or below the cross bar. Click the Object menu then Align and Distribute. 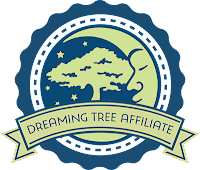 The Align and Distribute dialog box will open. 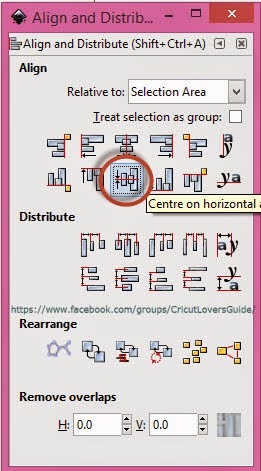 Click the Centre on Horizontal Axis button. 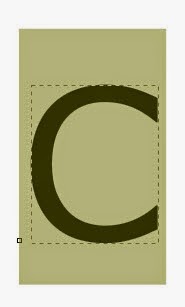 The rectangle will move up or down and be placed in the centre of the letter. 23. 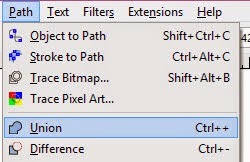 With the letter and rectangle still selected click the Path menu, then select Difference. Your letter has now been split! 25. 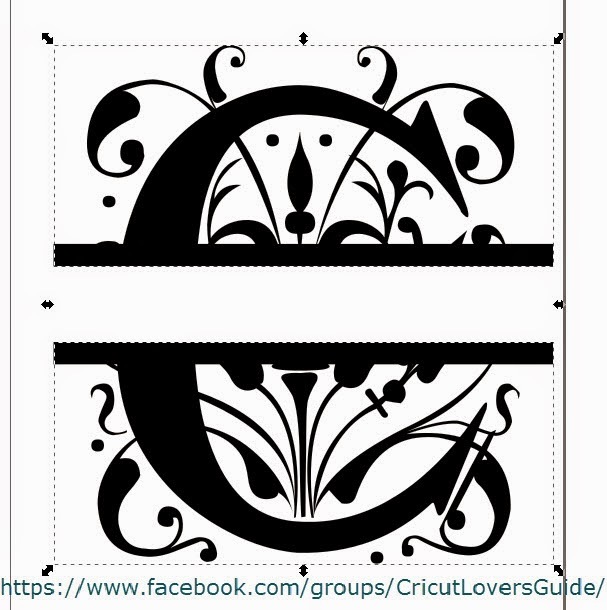 Click the Square tool from the toolbar and drag another rectangle over your image and place it so it is just overlapping the bottom of the upper part of the letter. 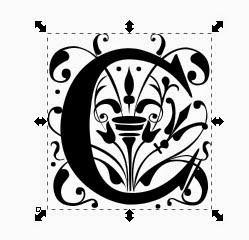 I generally set the height at .25" and the width one inch wider than the width of the letter. (In this case the width of the letter was 6.558 so the width of the bar would be 7.558). Make sure the Proportion lock is still unlocked if you're going to set it using the measurements. But you can eyeball the height and width if you prefer. 26. Click the Select arrow then click on the bar you just created to select it. 27. 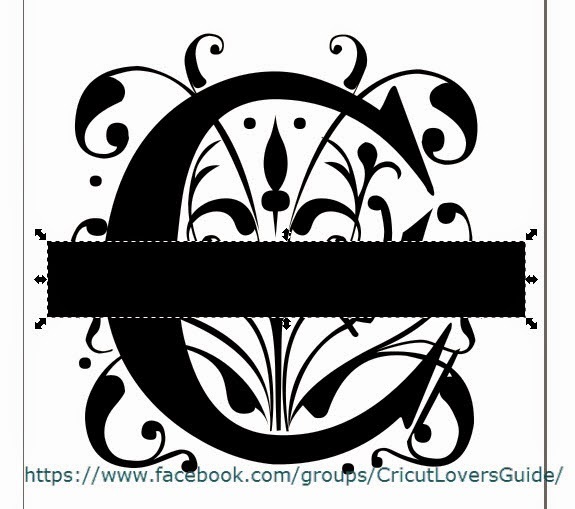 Click the Layer menu and select Duplicate Current Layer. This layer will be placed right on top of the existing one. While it is still selected use your down arrows to move it so that it is just overlapping the top of the lower half of the letter. Next you'll align the two bars so they are even on the left and right of the letter. 29. From the Align and Distribute dialog box (Object, Align and Distribute if you closed it earlier) click the Centre on Vertical Axis button. Now your two bars will be centred vertically on your letter. Next you'll weld the bars to the letter. You now have one object with the two bars welded in position. You will want to be able to move the top and bottom parts of the letter individually so you can make room for the name that goes between the split. 32. Click on your letter to select it then click the Path menu and select Break Apart. Don't panic! It's going to look really odd..
33. Drag your mouse around the top half of the letter (including the bar) then click Path, Combine. The top half is returned to its former glory! 34. 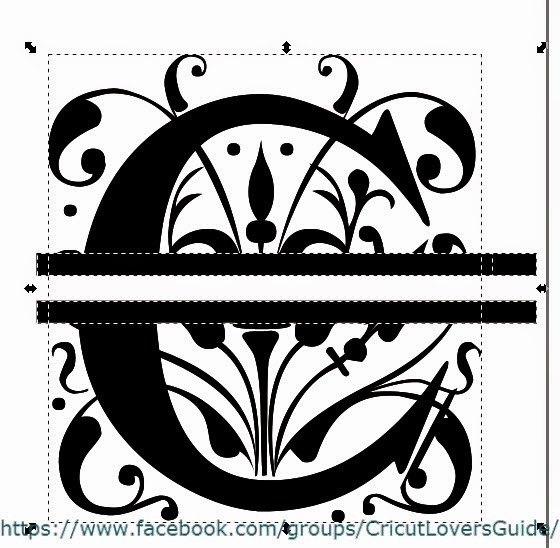 This time drag your mouse around the bottom half of the letter (including the bar) and again click Path, Combine. You can now move the top and bottom parts of the letter individually. A quick note..... It's better to not move the letters apart. Particularly with letters like S, M, N... (any letter that has angles or curves basically...) as the letter looks wonky and out of proportion then. I generally make my letters 8" tall and make the split rectangle 2". That gives me approx 1.5" space between the letters after I have welded the 1/4" rectangles. 36. 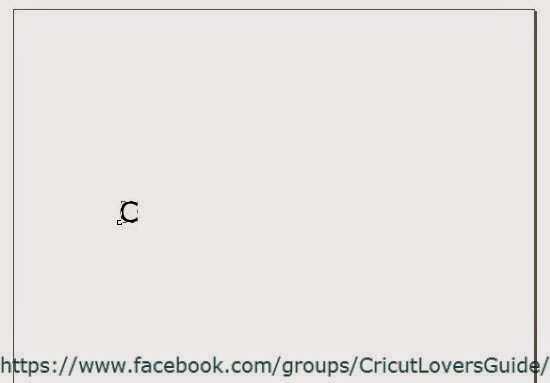 Click File, Save As. 37. 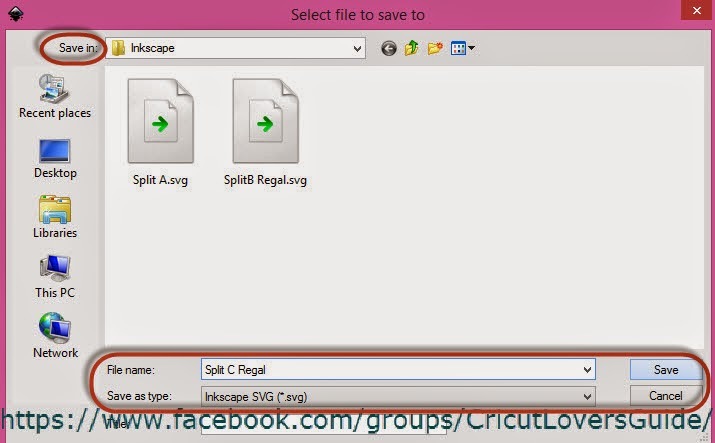 Give your file a name, select where you want to save it, select Inkscape SVG as the type of file (you can change to Plain SVG but it's not necessary for using this file in Design Space) and click Save. Guess what? You just created your first split letter! 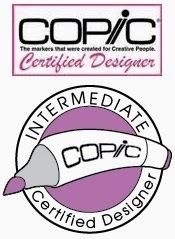 Your file is now ready to import into Design Space using the Vector upload option. It looked like a lot of steps didn't it? But it's super easy to do and with practice shouldn't take more than 5 minutes! 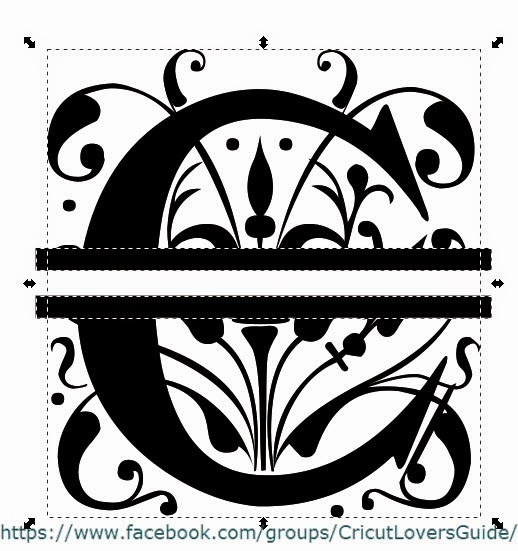 Maybe you'd like to post a picture of your Split letter project made using this tutorial! 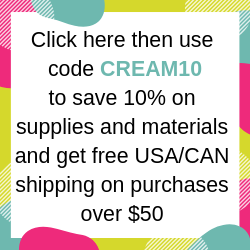 Just use the InLinkz link tool below! Hmm... I haven't done any split letters, but I don't like the idea of moving the top and bottom halves separately; it destroys the geometry of the letter. at step 18, determine the space you want between the halves and the size of the bars you want. So if the overall letter is 6" and you want 1" space between the halves with 0.25" borders, then make the rectangle 1.5" high. Center and align as desired. 23. "Union" the letter and the rectangle. 24. 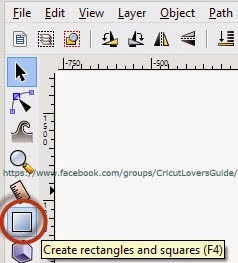 Create another rectangle the height you decided on in step 18 and make it wider than the other rectangle. 26. "Difference" the new rectangle from the letter & rectangle. Ta-da! You now have a split letter with a gap between the two halves. Thank you so much for the detailed instructions. I ready them over and they seem very straight forward. I already downloaded the program but haven't had a chance to use it yet. 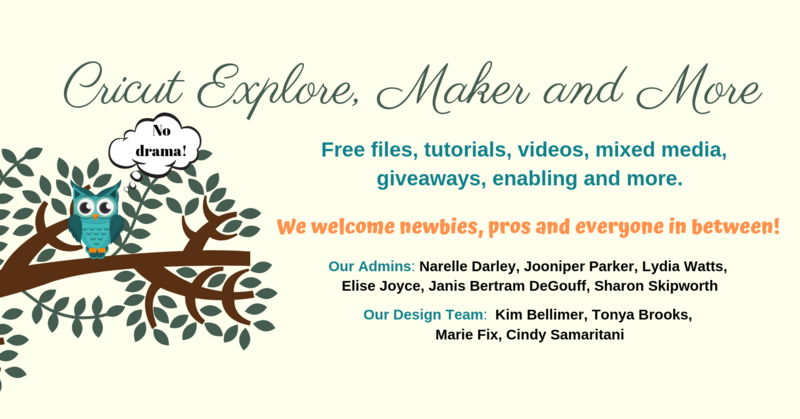 Thanks Narelle, I followed instructons and was pleased with result, I have had Inkscape and have been intimidated by it, mostly the terminology is not what I am used to, so learned a lot just following this tutorial. Thanks again. Thanks for the instruction. This seems a lot easier than the instructions shown on Inkscape. I'm going to give this a try. I followed the tutorial last night and my "S" came out perfect. It was so easy. This tutorial also showed me some good basic knowledge of some of the tools. I can't wait to cut it out. Still learning here... I guess I don' understand this "VECTOR" thing.. I went to Vectormagic.com and tried to send the image and this is the error I got..... "Terribly sorry, but we're not familiar with that image format ('image/svg+xml', 'image/svg+xml'). Please email support@vectormagic.com for support for additional formats, attaching the image you were trying to upload." I want to print my split Monogram onto burlap... How do I do that? Jasen, I totally agree about it being better to not move the letters apart. 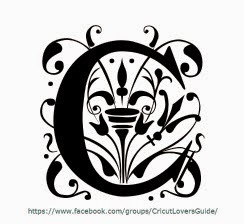 Particularly with letters like S, M, N... (any letter that has angles or curves basically...) as the letter looks out of proportion then. I do want to go back and add more info into the tutorial. I just don't ever seem to have time to revisit these things once I post them. The files are saved as svg files which can definitely be saved to a flash drive. If you want to copy and paste to a word document (to print out I'm guessing) take a screen shot. 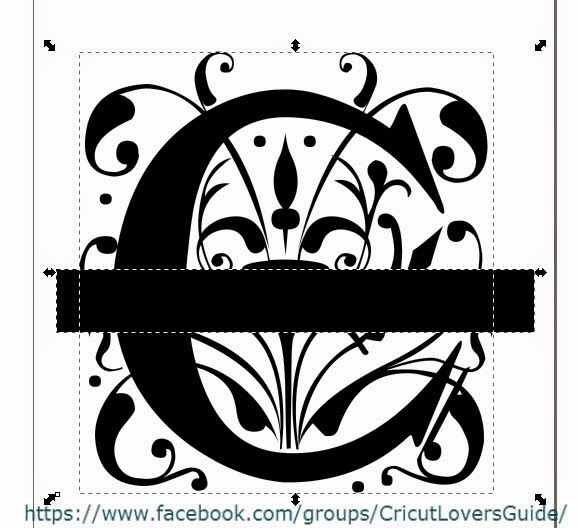 Red H, the instructions here were done to create files that can be imported into Cricut Design Space. 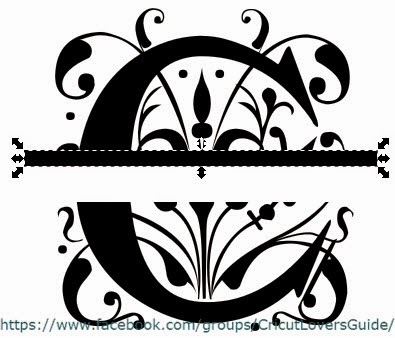 They are an SVG file and can also be imported into other programs such as Make the Cut and Sure Cuts A lot. I'm not familiar with Vectormagic and what its uses are.